G2 > mouz/astralis Who would you put 3. then? You know he's not from NA, right? I don't see why everyone here is hating on G2 they were pretty solid these last months and I believe they will do good in this current event Starladder. But will they choke on the stage again, could happen since they've got mouz again. Cloud9 isn't top 5, but the major points are still relevant hence why I put them in top 5.
it's not a bait, it's facts. 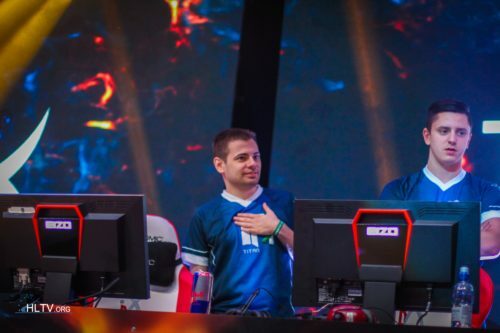 Liquid won Summit, and i cannot even remember when navi won something. I am Brazilian, SK fan and I admit, SK is not top 1 atm. I would put them top 3 because of the summit loss. SK didn't win anything this year, just lost to mousesport but u place them first. Deluded I guess. Major was not the only good event from them. Also faze and g2 had no standins so... Only idiots will call it a fluke. Beating the 3 strongest teams in the event to win is not some "fluke" like gambits where they one on good bo3 and thevothers were bad. how is SK better than FaZe atm? retard? hltv.org/matches/2317926/faze-vs-sk-esl-.. SK will win StarSeries i-League Season 4! Dude its true. they have only bad days. Classic text hereeeeeeee "We will back stronger"
1. Faze 2. SK 3. G2 4. Cloud9/mouz 5. The ranking doesn't matter considering any of the top 10 teams can beat one another.